Biosafety cabinet is the main safety protection equipment in biological laboratory. Unlike the purification workbench, biosafety cabinet can not only protect the safety of experimental samples, but also protect the safety of operators from pollution. It can effectively prevent the harmful and poisonous air suspended particles from harming the experimental operators. It is one of the important equipments for laboratory equipment to protect personnel. 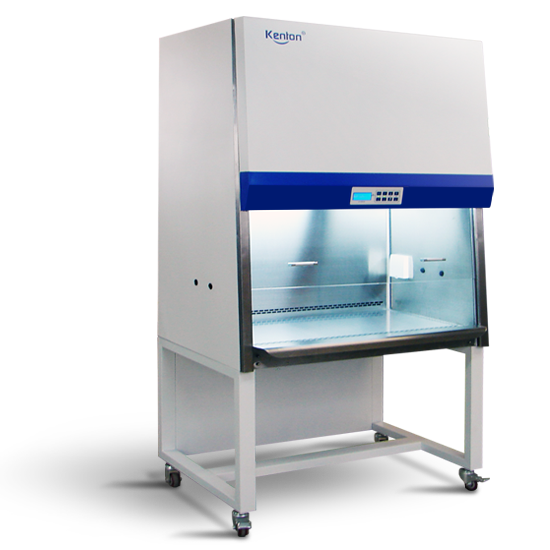 If the biosafety cabinet is not properly used, its protective effect may be greatly affected. 1. There is no need for ultraviolet lamp in biosafety cabinet. If the ultraviolet lamp is used, it should be cleaned weekly to remove dust and dirt that may affect its germicidal efficacy. 2. Open fire should be avoided in environments where there are few microorganisms in biosafety cabinets. 3. Lab operating rules on how to deal with spills should be posted in the laboratory. Every member who uses the laboratory should read and understand these rules. 4. At the time of installation and after a certain period of time, qualified professionals shall certify the operation performance and integrity of each biosafety cabinet according to the manufacturer's instructions to check whether it meets the national and international performance standards. 5. Because the remaining culture medium may cause microorganisms to grow and reproduce, at the end of the experiment, all items in the biosafety cabinet, including instruments and equipment, should be removed from the surface contamination and removed from the safety cabinet. 6. Biosafety cabinets must be cleaned up before moving and replacing filters. 7. Individual protective clothing should be worn when using biosafety cabinets. 8. One of the two alarms can be selected to equip the biosafety cabinet.